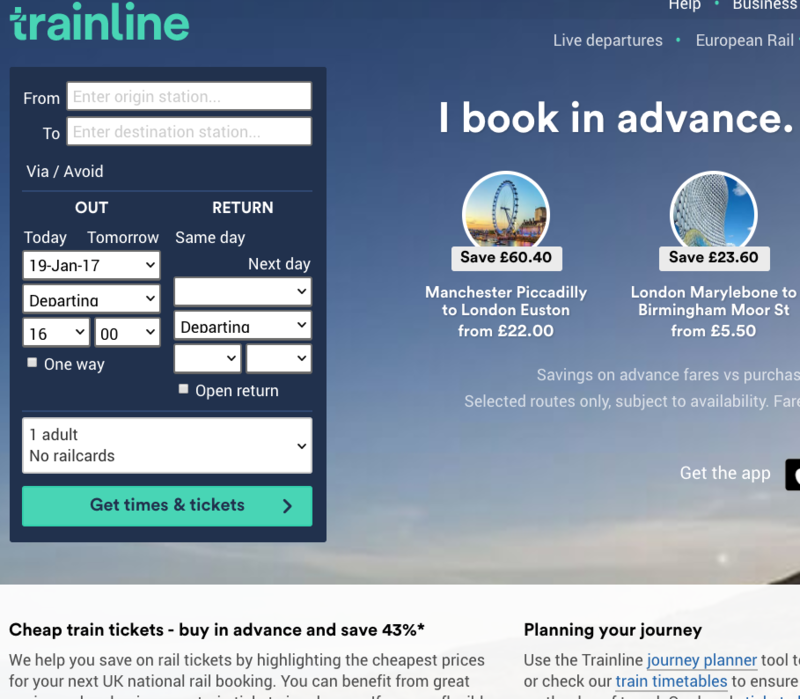 Thetrainline.com is an online rail ticket retailer that helps you find and book cheap train tickets for traveling throughout the UK and save up to 80%. It offers some cool tools, like the cheap ticket email alert and the best fares finder in case you are pondering a trip somewhere, but you are not fussed about when to go. One of the cheapest ways to get a train– genuinely saves you money every time! Reliable and efficient- I’ve never had problems, at least! Remember to write down your confirmation code when you get it- it WILL be needed at the station! Thetrainline is one of the best places to go to get train tickets- with the majority of customers completely happy with their services providing cheap, easy tickets to anywhere in the U.K., as well as their easy-to-use website with helpful tips and pages, this is definitely the first place to go to for anyone taking a train. Go back to Cheap Train Tickets category to find more UK providers of cheap train tickets and offers for travelling across the UK.